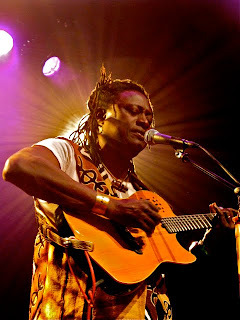 One of Mali’s best singers and guitar players, Habib Koite blends virtuoso like playing with a calm and moody vocal style that is legendary. If you live in New Jersey, check him out at the South Orange Performing Arts Center on March 19th. One of the best Japanese restaurants in the city, Yama, serves up some of the hugest and freshest portions of sushi, while not being as expensive as you think. Close to Irving Plaza, 119 Bar is one dive where you can get cheap drinks, play pool, and hang with friends while not standing out or being bothered when you’re a sweaty mess from dancing after seeing Shadow and Chemist perform, and I mean that in a good way! If you’re bored and early for the show, head over to the four floor Barnes & Noble to look through magazines and get a cup of coffee.